The London Stock Exchange has hired a Goldman Sachs banker from New York to replace its previous boss Xavier Rolet, who left suddenly last year amid a major boardroom bust-up. The exchange ended its six month search for a new boss on Friday by handing the reins to David Schwimmer, the Wall Street bank's global head of market structure and a former chief of staff to Goldman boss Lloyd Blankfein. The 49-year-old American has spent two decades at the banking giant, where Mr Rolet started his career, of which three years were spent in Moscow as co-head of the bank's Russia business. He also runs the bank's metals and mining investment banking practice. He will begin the role on August 1 on a base salary of ?775,000, ten months after Mr Rolet suddenly left the exchange following a bitter row between the exchange's board and one of its major investors The Children’s Investment Fund (TCI). His hire rounds off one of the most dramatic years in the exchange's history, with last year starting with the LSE's proposed ?24bn merger with Deutsche Boerse being blocked by EU regulators and peaking with one of the City's biggest ever boardroom battles. The LSE ended the year with no permanent head. The exchange was forced to find a new chief executive much earlier than planned after TCI's campaign to keep Mr Rolet in the job escalated. Following the row Mr Brydon said he would step aside in 2019 and Mr Rolet left a year earlier than planned. Having built the exchange's market capitalisation from ?800m in 2009 to almost ?14bn in 2017, Mr Rolet was popular among shareholders but was said to have a difficult operating style. The job is one of the most high-profile positions in the City with sources saying that "dozens" of interviews were held with senior executives across the investment banking, asset management and exchange sector. Mr Brydon said Mr Schwimmer was appointed "after what has been a comprehensive global search" and is known for his "robust intellect". Sources had said in recent weeks that the exchange was keen to announce a new boss well before its shareholder meeting on April 24. Chief financial officer David Warren has been running the business on an interim basis. 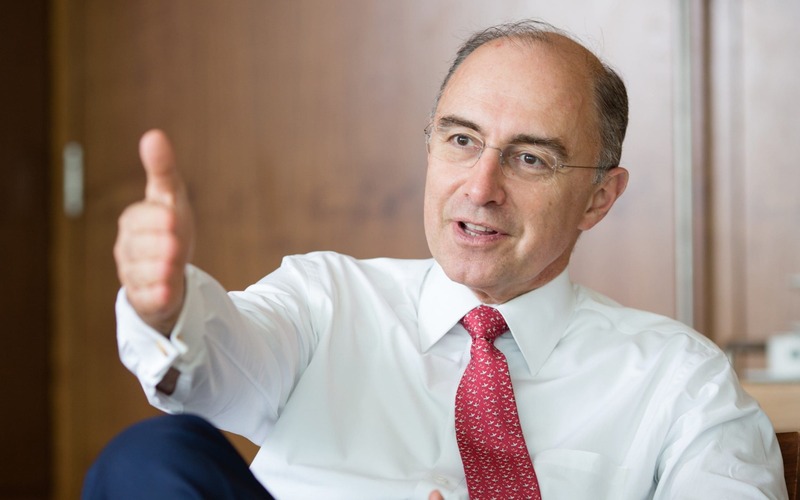 UBS analyst Michael Werner said that the appointment of a former M&A banker to the top job will allow the LSE to continue hunting for acquisitions. "We view the announcement positively as it removes an overhang for the stock and given the high profile calibre of Mr Schwimmer," he said.